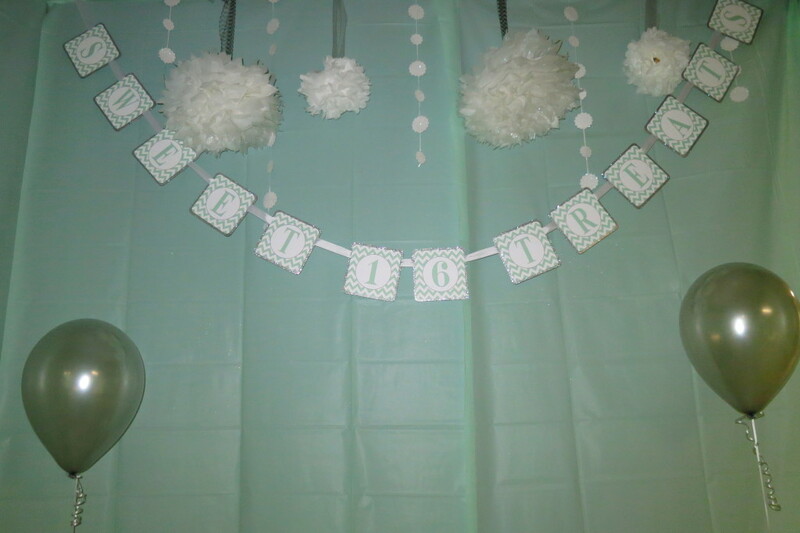 Planning this Sweet 16 for Brianna was a real treat! 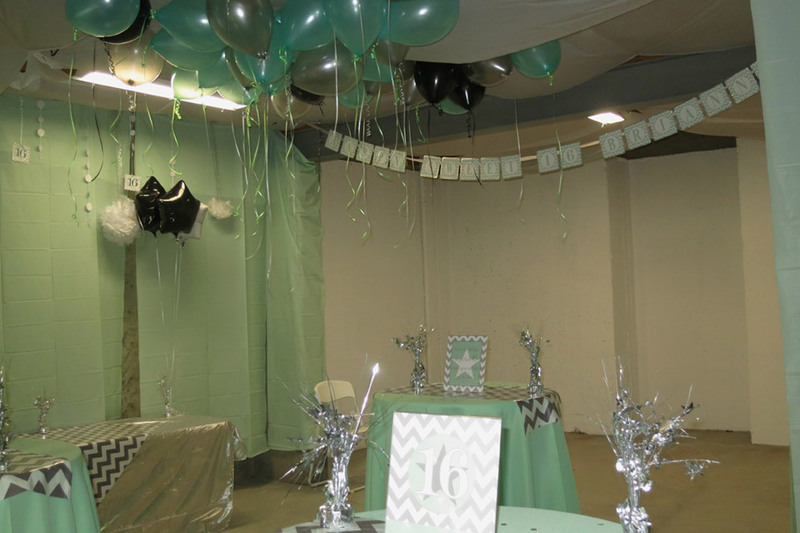 What we wanted a party that was filled with all her favorite friends, family, music, sweet treats, and or course her favorite color mint green. After seeing the space, I knew we were going to be challenged as the basement had no walls, everything was concrete. 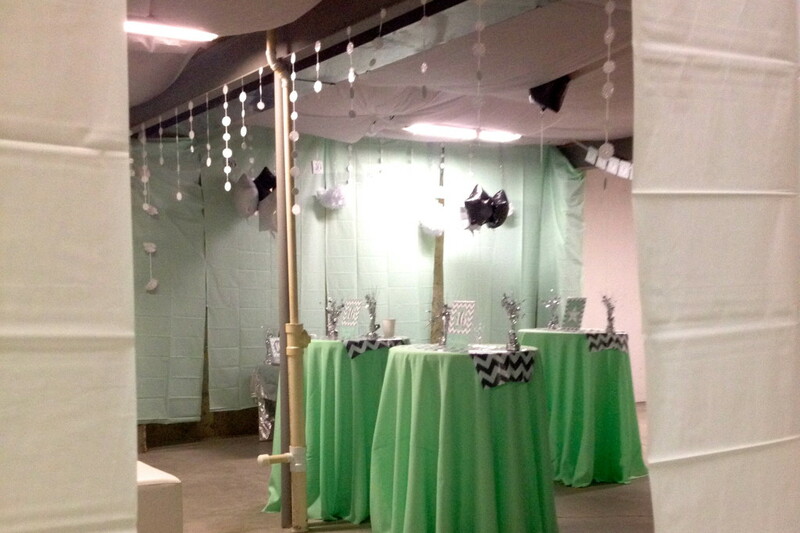 Of course being the perfectionist I asked if we could hang drapes to make the space feel more alive. 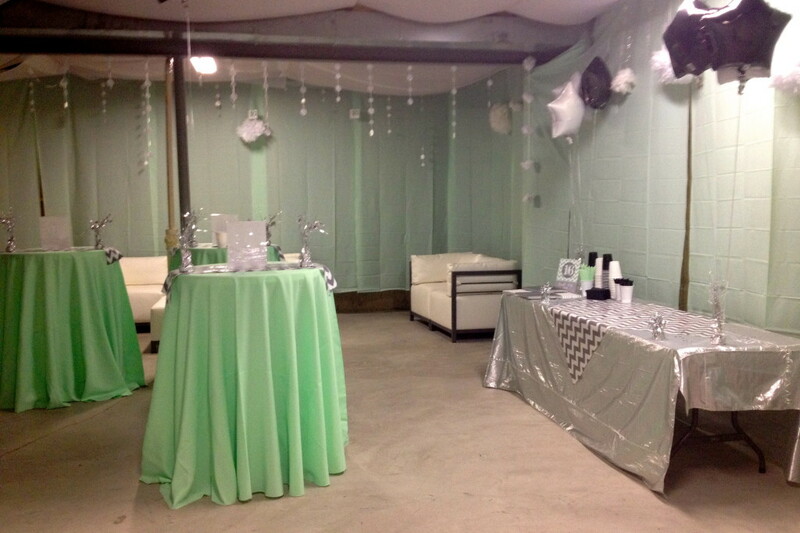 After agreeing, we were able to create a space that had more ambiance and of course everything mint green. Being a 16 year old lady, I thought why not chevron and mint green?! 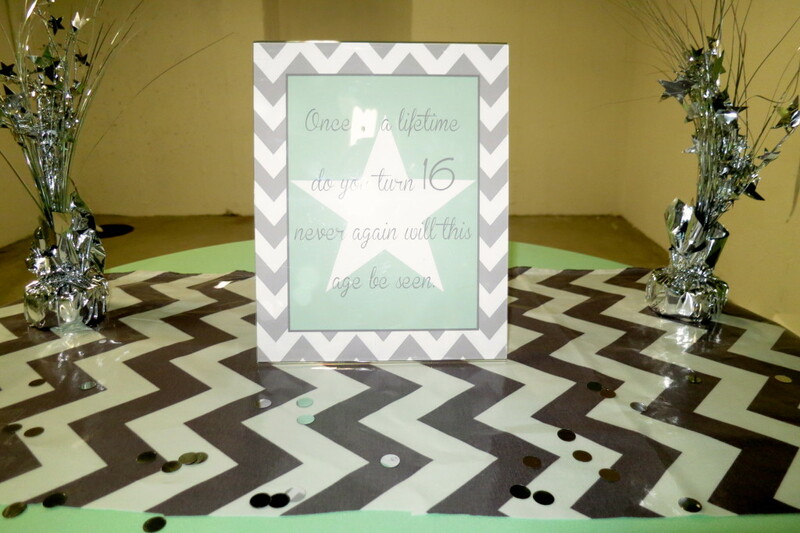 Chevron is so popular these days and was so fun to incorporate throughout the space. 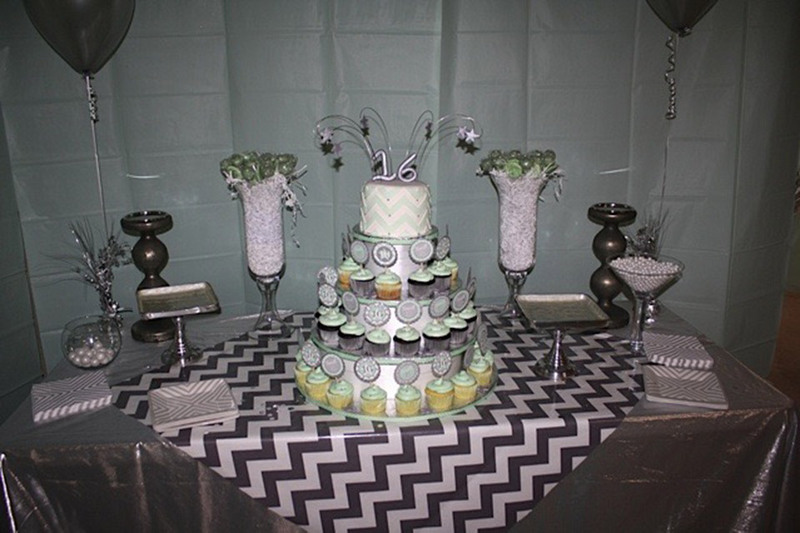 I got table runners in grey and white chevron and also incorporated the pattern throughout the dessert table and the paper products. The dessert table was a real hit! I partnered with Hock-Cakes to have her make up some of her amazing sweet treats. We displayed a cupcake tower with a sweet 16 cake on top. In addition, we included some cake pops with a mix of green and white candy for the guests to nibble on. Now I can’t recap the event without noticing the darling paper products we used. I partnered with Paper Frosting to have her create my vision on paper. She always does such a fantastic job of making my vision come to life. 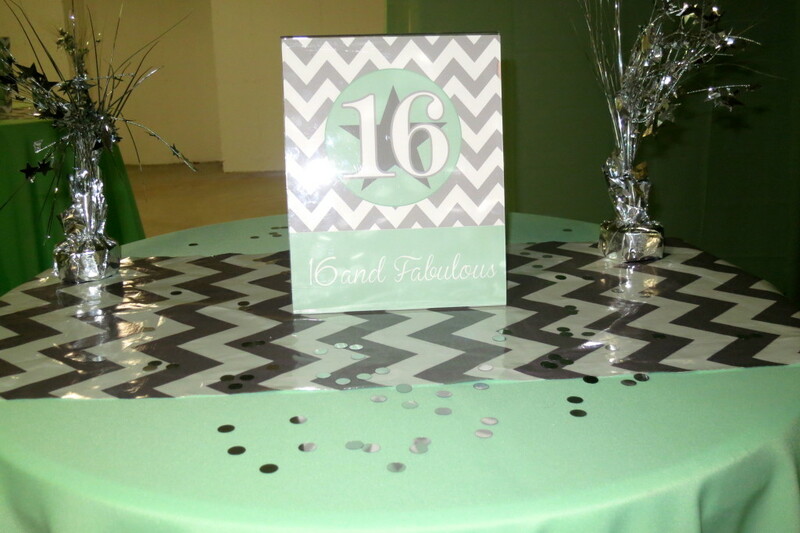 Some of the pops of added decor included a darling chevron sweet 16 banner, chevron cupcake toppers, and several signs that showed off Brianna’s Sweet 16. In addition to all of this we hired TKO DJ and had a photo booth for all the guests to have fun with. The DJ played for over 5 hours and the guests didn’t stop dancing to the party was over. The photo booth was a great way to top off the night. All of her guests walked away with pictures from all the fun they had that night. I really enjoyed planning this Sweet 16 for Brianna and have since worked several events with this darling family!